We here at Pingdom are computer geeks, and proud of it. 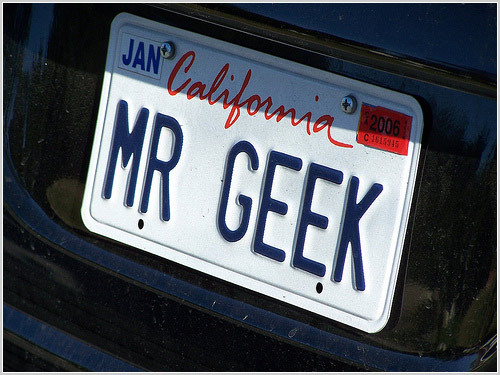 None of us have any geeky vanity plates (custom license plates) on our cars, though. But others have, and we love those. 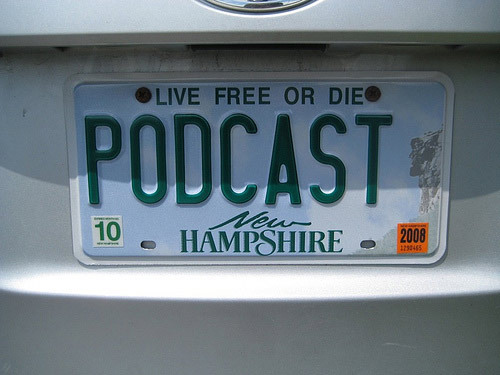 This post is a gallery of pictures of some of the coolest vanity plates we have ever seen, collected from around the Web. Some of the pictures have explanations, but mostly they are pretty self explanatory. Photo by John C Abell. Could this guy possibly be an Apple fan? 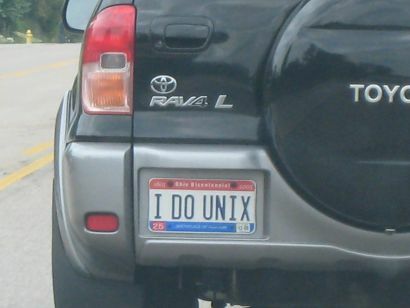 Is the car Open Source too? 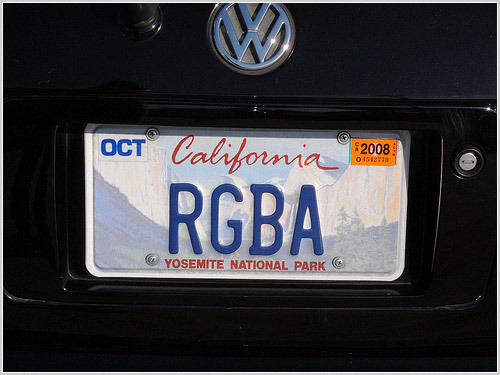 RGBA is the RGB color model (red, green, blue) with added alpha (transparency). It is a common format in the graphics field, used for example in the PNG image format. 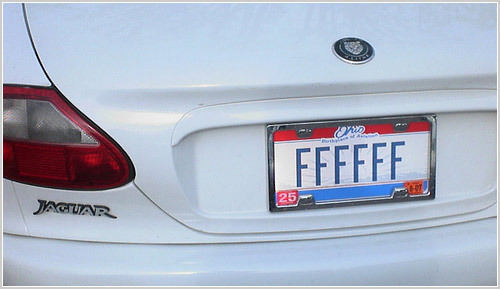 #FFFFFF is the hexadecimal color code for white. 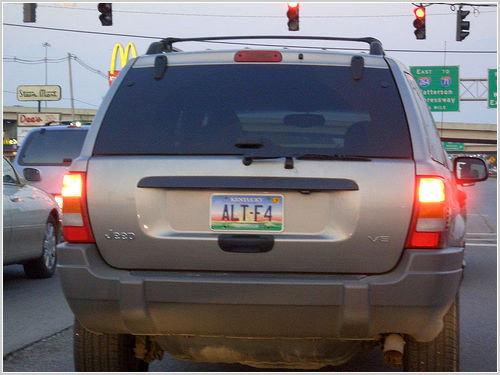 For people not familiar with Windows, Alt-F4 shuts down a program, or Windows itself if no programs are running. Someone who likes to talk? 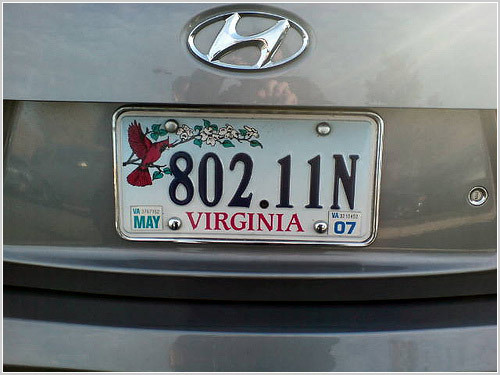 If this is a woman’s car, did her boyfriend buy it for her (especially the license plate)? 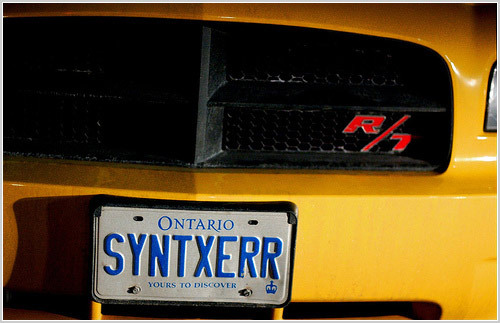 Do you feel that we missed out on an awesome vanity plate you have seen somewhere? Post a link in the comments! 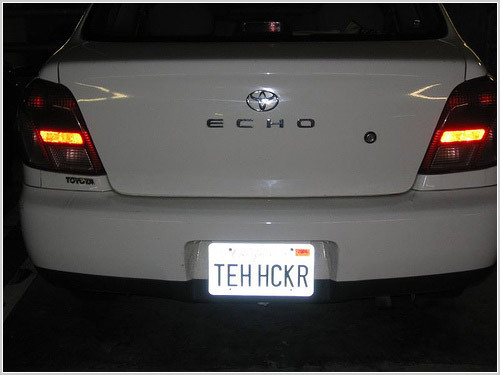 Don’t want to be overcritical but……TEH HCKR isn’t leet. It’s lolspeak. I was very envious of one I saw here in Texas – TECHZN. 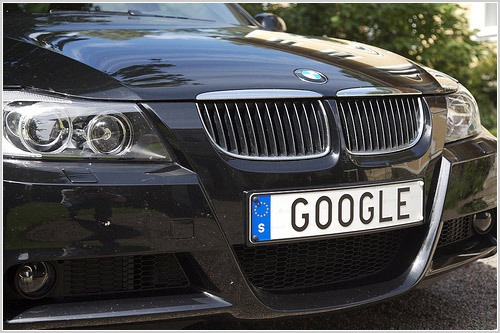 Mine is at http://blogs.msdn.com/photos/andypennell/images/7822619/original.aspx and its story is on my blog. Took this on the way home from work about a month ago.. 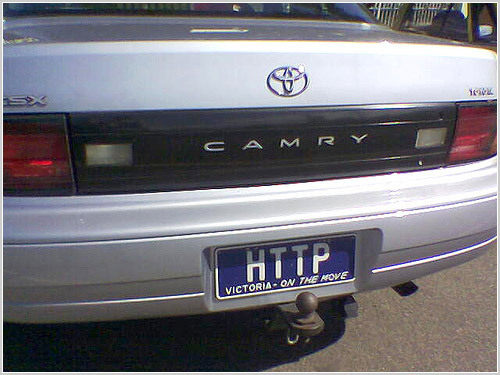 If I see the guy in my lot with the ASP.NET one I will send it to you. LOL. Sorry if I sound like a smarty pants here – but normally it’s good manners, and helps to avoid prosecution, to ask permission before reproducing other people’s work on your site. Especially if it is clearly marked as “© All rights reserved”. 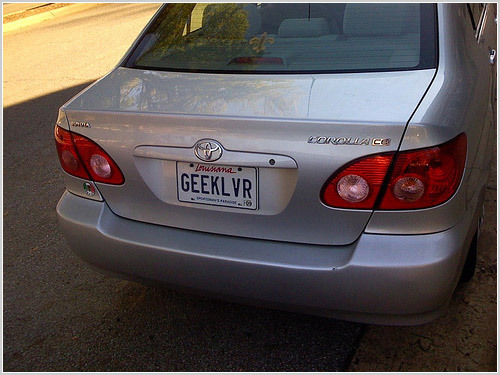 Pet peeve, but why assume the “geek lover” plate is a woman? I know you said “if” but come on. 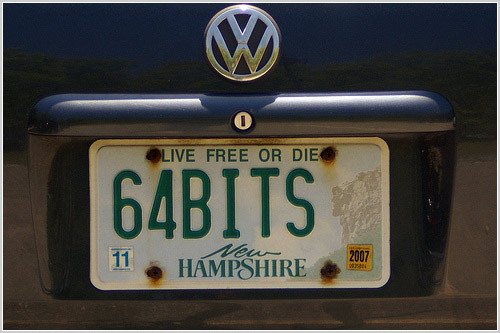 You’ll need to scroll down, but it is an awesome plate for a VW ‘bug’. Here’s the link, remember to scroll down. There is a Mini that parks in my garage at home (Dallas, TX) with the plate “MAC FAN”. 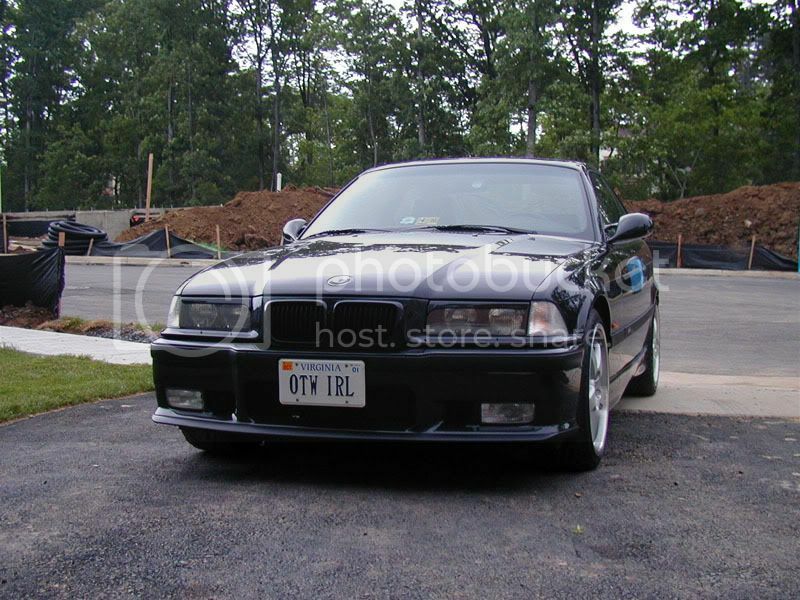 A buddy of mine has STDIN and STDOUT on his two cars (NY plates – Long Island). 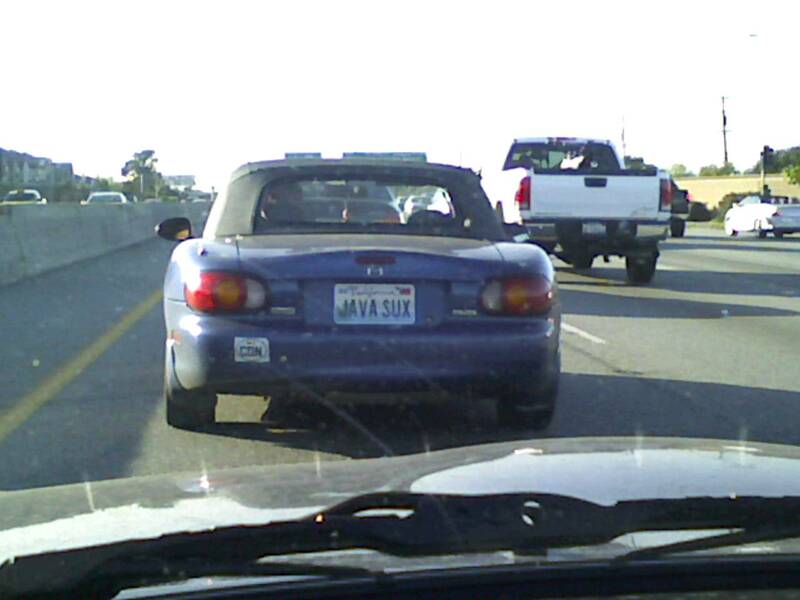 I have a friend here in Atlanta with /dev/null as his license plate. 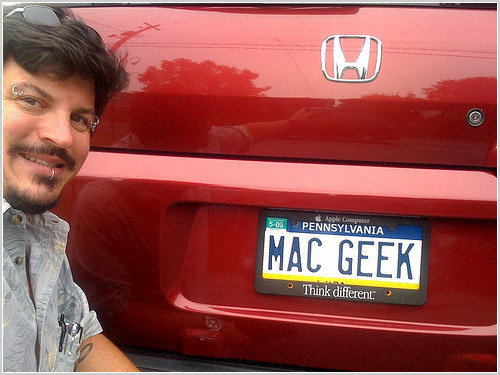 I don’t have a photo handy, but when I lived in NY and now in TX I have “MAC FAN” with an Apple logo on the bumper. 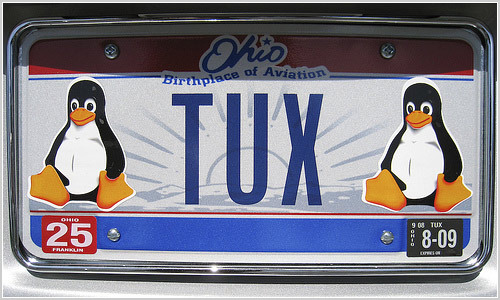 There is a guy at my office whose plate says “Unix & C” I think hes the coolest guy I know. 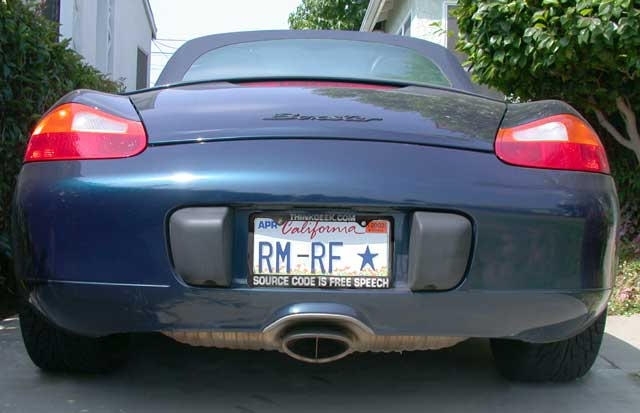 My friend has the license plate “D EV 1337”, which I find incredibly cool! (German, the D represents Duesseldorf). 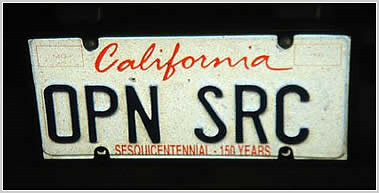 my plate, which I’ve had for about 6 years now. since when has there been a state called Victoria? Victoria is the south eastern most state in Australia. The vehicle is a Toyota Camry. 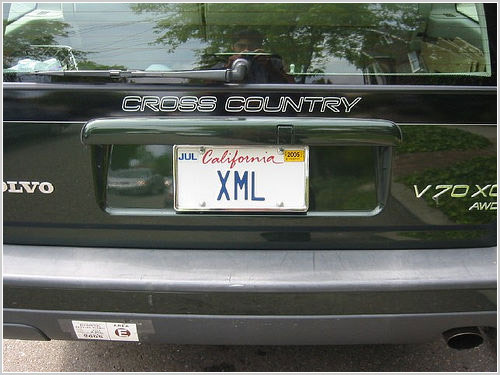 My favorite is the VW Bug with the license plate FEATURE. 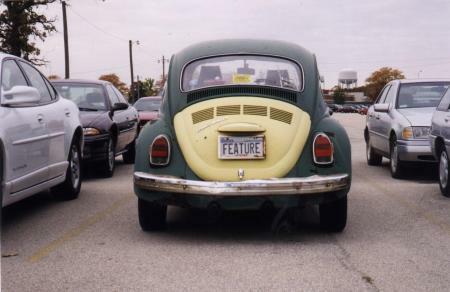 (1) DEBUG — On a VW Bug. (2) 69LSDRNR — This one is clever! Wish I had pictures to show, I’ll get them one of these days. 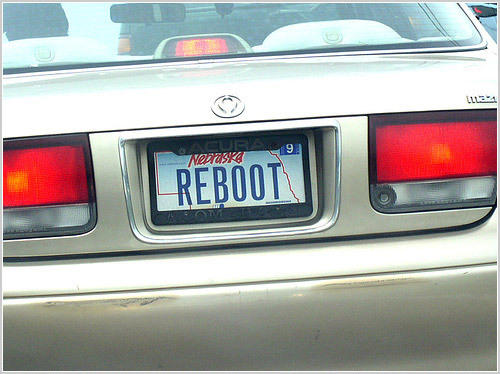 I’ve TOTALLY seen that REBOOT guy around here (Omaha). 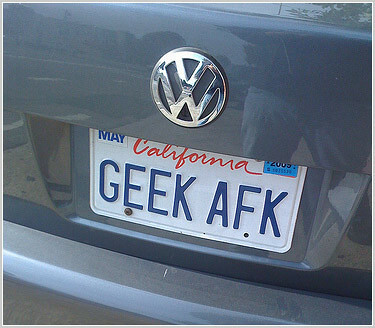 My plate has said AFK for almost 10 years. I’m a female geek. No pic, but a friend with a silver Saturn Ion has a plate reading “AG PLUS”. He had to explain it to me: AG+ is a silver ion. 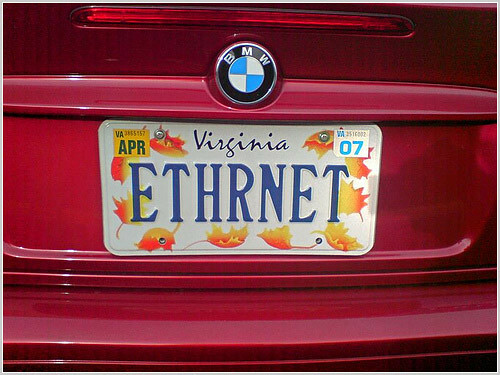 I knew a guy that had MC68000 on his acura. 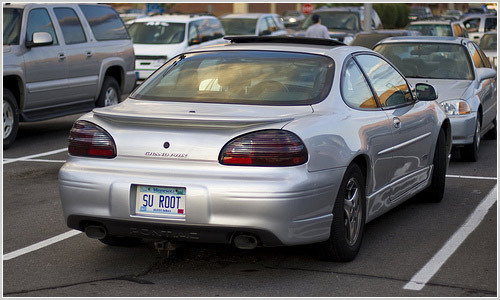 I also remember seeing one at an Exodus datacenter in El Segundo that said “setuid.” I thought that was cute. 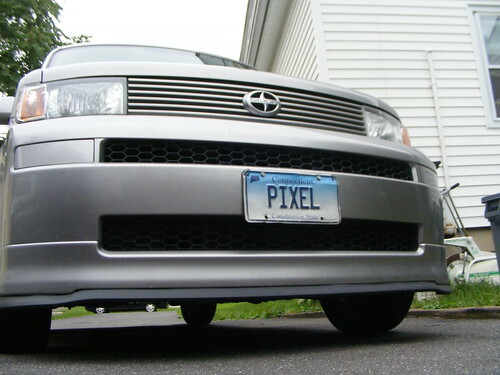 I know someone with the license plate “PRD GEEK”… I’ll get a picture of it soon. Love it. 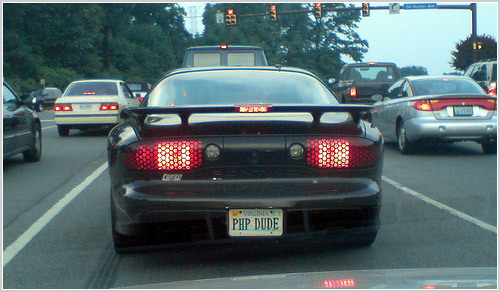 My fav one is “PHP DUDE”. A guy in Wales has had L1NUX for many years, while someone else in the UK has L7NUX. 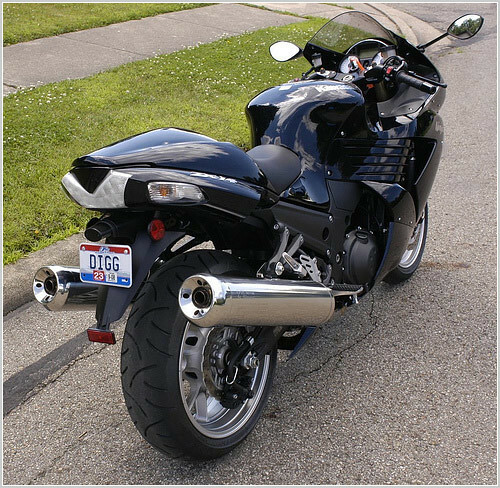 the bike with the DIGG license plate. that would belong to Kevin Rose, Creator and C.E.O. of Digg.com. 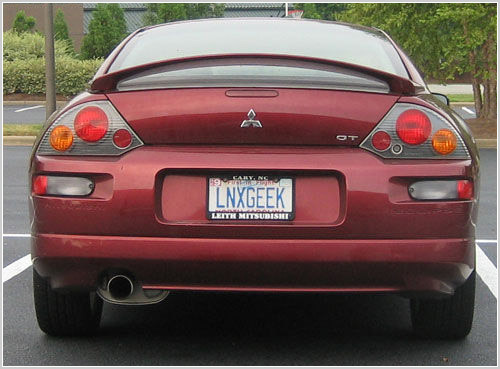 One number plate that did cause quite a stir in the UK was L1 NUX. There have also been some wild valuations flying about for the number plate V1 STA. Both are road legal plates here in the UK.